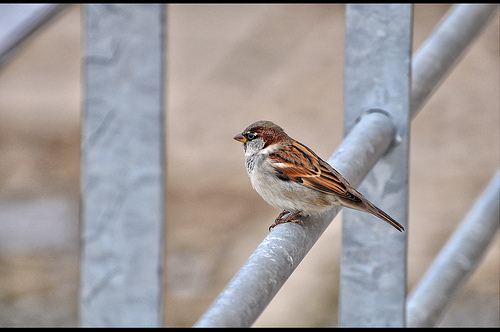 The House Sparrow is one of the species most widely spread on earth. Virtually on all continents it is present in large numbers. Due to insulation of buildings, the House Sparrow now has more problems making its nest. 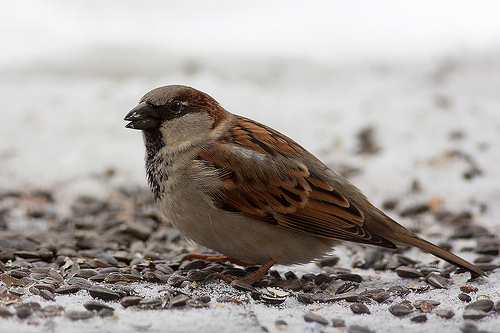 The House Sparrow has a grey crown. The Tree Sparrow has a distinctive black spot on its cheek.